In 2018, the U.S. Department of Labor published an opinion letter, clarifying travel time pay for nonexempt hourly employees. This is often a confounding matter for employers because whether travel time is work time depends on the type of travel and when it happens. 1. An hourly employee commutes out of state by plane on a Sunday for a training class, attends the training class from Monday to Friday, and then goes back home by plane on Friday evening or Saturday after the class has ended. 2. An hourly employee commutes from home to his or her workplace to pick up a job itinerary and then goes to a customer location. 3. An hourly employee drives from home to multiple customer locations throughout the day. 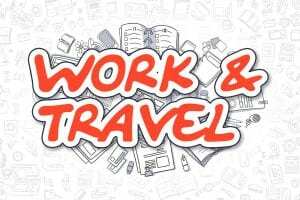 Generally, employers do not have to pay employees for time spent traveling between home and work. This is usually true even when the employee travels from home straight to different job sites. However, the DOL notes that unlike ordinary commuting time, “travel from job site to job site during the workday must be counted as hours worked.” In other words, once the employee has arrived at the job, he or she must be paid for travel time between work sites throughout the day. In the three scenarios above, the travel time is compensable work time and therefore must be paid. Scenario one illuminates the issue of employee travel away from home, overnight and on weekends. According to the DOL, “travel away from home is clearly worktime when it cuts across the employee’s workday.” Therefore, the time that the employee spent commuting to and from the training class must be paid if it falls within the employee’s normal, or regular, work hours. This holds true even if the travel takes place on a Saturday or Sunday. However, time spent traveling between the hotel and the work site does not need to be paid. The employer must figure the employee’s normal work hours to determine whether travel time is part of those hours. To accomplish this, the employer can review the employee’s time records for the most recent month to see if they show typical work hours. If so, the employer can regard the typical work hours as normal work hours going forward. If the time records do not show any typical work hours, the employer can use the employee’s average start and end times. Alternatively, the employer and the employee can negotiate and agree “to a reasonable amount of time or time frame” for which travel away from the employee’s home should be paid. While this is not an exhaustive list for determining normal work hours, an employer who uses any of those three methods appropriately should be able to avoid any violation. Employers must, however, be mindful of any state travel time laws, which may differ from federal rules. Get help with your payroll processing.